In today’s modern world, everyone can use more storage! 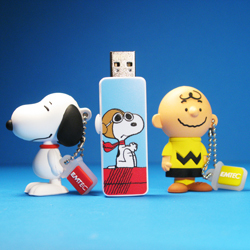 EMTEC has released two series of Peanuts USB flash drives to keep your data portable and safe. With a Peanuts flash drive, everyone will know it belongs to you! At eight gigabytes, these drives can hold around 4000 pictures, 2000 songs, or 20-30 minutes of videos, depending on the compression type. EMTEC USB drives are available at a number of stores, including online. I’ve tested some samples to give you an overview of their features. The first series of USB drives features 3-D figures of Charlie Brown, Woodstock, Lucy, Snoopy and the Flying Ace pilot. The USB stick is integrated into the character and pulls out using a chain included with the drive. When the USB is in use, the EMTEC fob can be inserted into the base of the character to prevent loss. Each character is made from soft touch rubber material which gives them a nice feel. The Peanuts gang will look great adorning your desk, just waiting to store your data. The design of the figural Peanuts characters is quite impressive to me. 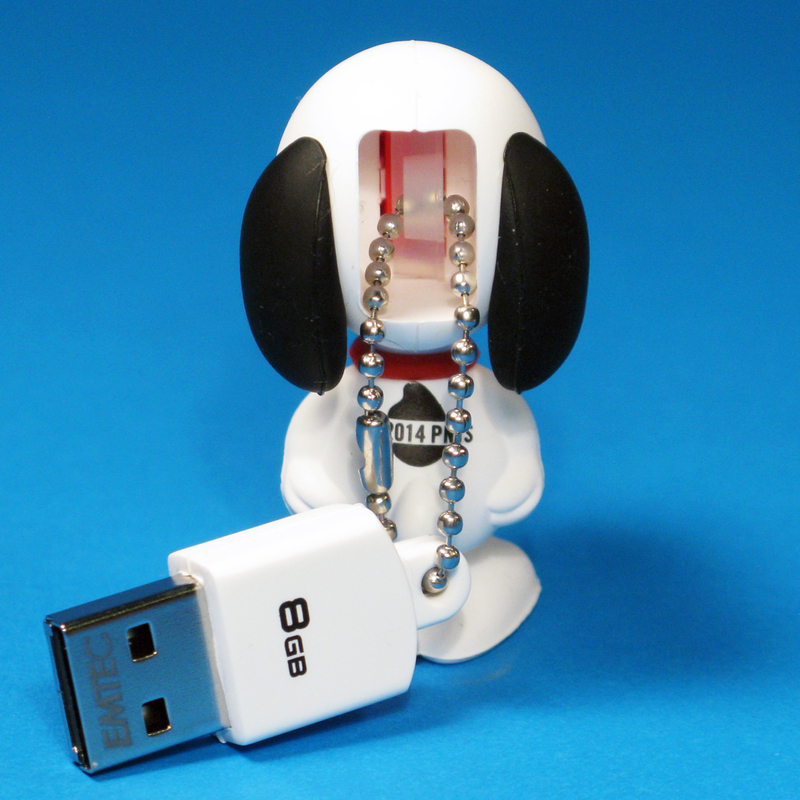 Snoopy’s USB drive pulls out of the back of his head. The designer had the forethought to make the drive reversible. No matter what way you put it back in, it’s correctly contoured to fit in place. The figures are well balanced and stand easily. I especially love how the keychain is designed to make sure the body doesn’t become lost. The fob is inserted into the base to keep the two pieces together while the USB drive is in use. No one wants a headless Charlie Brown on their desk! The details on the figures is also very well done. From the 3-D eyes and hair, to the little lines on Snoopy’s paws, to the molded collar on Snoopy and Charlie Brown’s zig-zag, the details give these pieces their character. 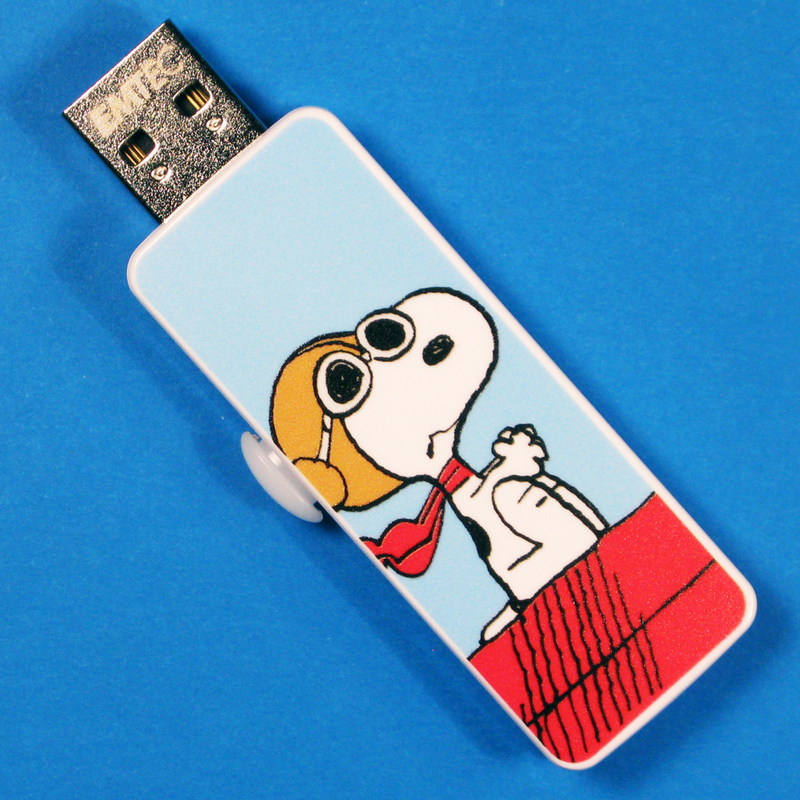 The second series of USB drives features Peanuts graphics on a stick about the size of a pack of gum. 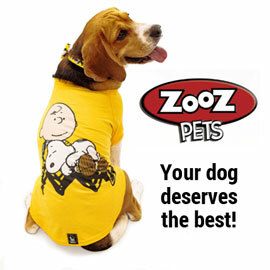 Designs include Charlie Brown, the Peanuts Gang, Snoopy the Flying Ace and Charlie Brown’s famous zig-zag shirt pattern. Both the front and back of the drive feature the same Peanuts graphic. The USB drive is protected inside the case and slides out for easy use. The drive has an internal red light that flashes when being accessed by a computer. Its compact size means it easily fits inside a pocket or purse without being too bulky. The casing is well made and won’t easily come apart, keeping your data safe. My first time using these drives, my computer did need to install device drivers on my Windows 7 computer. This took about a minute tops as the drivers are already a part of the system. The drivers installed in the background and didn’t need any help from me. Since USB flash drives are widely used, most computers will be able to use these without a problem. I also ran a read/write speed benchmark test on the Flying Ace drive (because I’m just that type of nerd!) In my test, the drive was faster than performance reported on the EMTEC website. They reported a read speed up to 15MB per second, and a write speed up to 5MB per second. Your performance may vary depending on your machine. A Peanuts flash drive is the perfect way to save your Camp Snoopy vacation photos, your favorite Peanuts sound tracks or backup your favorite Snoopy photos. USB flash drives also make great personalized gifts. I gave one to my boyfriend for Christmas filled with road trip songs for his car. These drives may cost a few dollars more than a more generic drive, but they are worth it. I find with decorative drives, I’m less likely to lose them in a clutter clear out since they are a fun addition to my desk. How will you use your Peanuts USB drive? EMTEC also produces rechargeable backup battery packs featuring the Peanuts gang. They are perfect for those days when your cell phone battery needs a recharge and you don’t have an outlet to power up. EMTEC also carries a variety of other character USB drives including Looney Tunes, Hanna-Barbera, DC Comics and more. EMTEC website – you’ll find all the style and designs here, along with more stores to shop at. Support CollectPeanuts.com by buying through out affiliate links below. Thank you! Disclaimer: EMTEC provided the samples for free. The review was my own opinion of the item. If you have any questions about the product or reviews, please let me, Caren, know at info@collectpeanuts.com.